Insurance Premium Tax increase due again from the 1st June 2017, under measures announced in the recent Government Autumn Budget. This is the third IPT increase to be introduced in an eighteen month period. The Insurance Premium Tax (IPT) new standard rate will be due on premiums treated by the legislation as received on or after 1st June 2017, except where insurers operate a special accounting scheme. From 1st June 2018, the new standard rate applies to all premiums, regardless of when the contract is entered into. Currently the IPT standard rate is 10%. 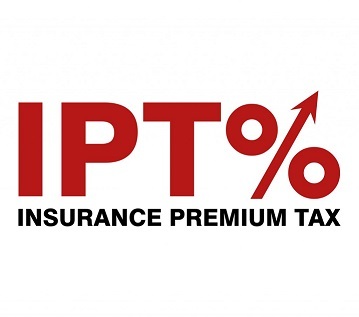 The measure will increase the rate of IPT paid on premiums, which are taxed at the standard rate of IPT by 2%, to 12%. This is in addition to the increase experienced in 2015 and 2016 which saw IPT increase from 6.5% to 10%. We have been aware of the increase since the Autumn Budget announcement and your Property Manager will have made provisions for this when preparing future service charge budgets. Ways to Prevent Your Home From Being Burgled How Do CDM Regulations (2015) Affect Our Business & Our Clients?